Again, Google is improving the market on Android phones. 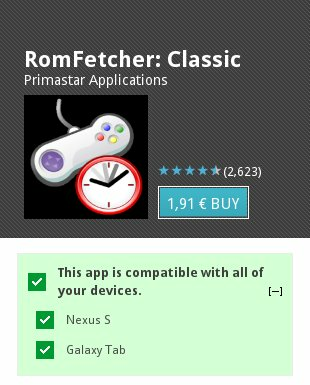 This time you can check compatibility with all the Android devices you have, not only the one you're just using. This feature can help a lot. Not only customers, but also developers. A lot less complaints for sure, and hopefully better ratings for the apps. Upset users that unsuccessfully tried, will be no problem in the future. In theory :).